It is defined as “strategic” voting behavior in which voters cast their votes for a party other than the most preferred with a goal to achieve. Strategic voting, as an approach, breaks down the basic theories assuming that people vote for the most preferred party in any case. This study aims to explain the different approaches in the literature to strategic voting behavior and to systematically review the individual and structural factors that are affecting this type of behavior. Individual elements such as analytical thinking power and structural factors such as country’s democratic past, number of elected representatives, election threshold and type of electoral system are factors affecting strategic voting behavior. Seçmenlerin, bir hedefe ulaşmak amacıyla en çok tercih ettikleri partiden başka bir partiye oy vermeleri “stratejik” oy verme davranışı olarak tanımlanır. Stratejik oy verme, yaklaşım olarak seçmenlerin her durumda en çok tercih ettikleri partiye oy verdiğini varsayan temel kuramlar ayrışır. Bu çalışma, stratejik oy verme davranışına literatürdeki farklı yaklaşımları açıklamayı ve bu davranışın ortaya çıkmasında etkili olan bireysel ve yapısal unsurları sistematik bir şekilde ele almayı amaçlamaktadır. Bu davranışın ortaya çıkmasında analitik düşünme gücü gibi bireysel unsurlar etkili olabildiği gibi, ülkenin demokrasi geçmişi, seçilen temsilci sayısı, seçim barajı ve seçim sisteminin türü gibi yapısal unsurlar da etkili olabilmektedir. Abramowitz, A., McGlennon, J., & Rapoport, R. (1981). A note on strategic voting in a primary election. The Journal of Politics, 43(03), 899–904. Abramson, P. R., Aldrich, J. H., Paolino, P., & Rohde, D. W. (1992). “Sophisticated” Voting in the 1988 Presidential Primaries. The American Political Science Review, 86(1), 55. Abramson, P. R., Aldrich, J. H., Rickershauser, J., & Rohde, D. W. (2007). Fear in the voting booth: The 2004 presidential election. Political Behavior, 29(2), 197–220. Adams, J. F., Merrill III, S., & Grofman, B. (2005). A unified theory of party competition: A cross-national analysis integrating spatial and behavioral factors. Cambridge University Press.Ansolabehere, S., Snyder, J. M., Strauss, A. B., & Ting, M. M. (2005). Voting weights and formateur advantages in the formation of coalition governments. American Journal of Political Science, 49(3), 550–563. Bargsted, M. A., & Kedar, O. (2007). Voting for coalitions: Strategic voting under proportional representation. In annual meeting of the Midwest Political Science Association, Chicago. Bargsted, M. A., & Kedar, O. (2009). Coalition‐targeted Duvergerian voting: how expectations affect voter choice under proportional representation. American Journal of Political Science, 53(2), 307–323. Blais, A., & Bodet, M. A. (2006). How Do Voters Form Expectations about the Parties’ Chances of Winning the Election?*. 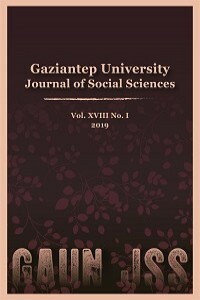 Social Science Quarterly, 87(3), 477–493. Blais, A., Lachat, R., Hino, A., & Doray-Demers, P. (2011). The mechanical and psychological effects of electoral systems a quasi-experimental study. Comparative Political Studies, 44(12), 1599–1621. Blais, A., & Turgeon, M. (2004). How good are voters at sorting out the weakest candidate in their constituency? Electoral Studies, 23(3), 455–461.Clark, W. R., & Golder, M. (2006). Rehabilitating Duverger’s theory testing the mechanical and strategic modifying effects of electoral laws. Comparative Political Studies, 39(6), 679–708. Cox, G. W. (1997). Making votes count: strategic coordination in the world’s electoral systems. Cambridge: Cambridge Univ Press. Cox, G. W., & Shugart, M. S. (1996). Strategic voting under proportional representation. Journal of Law, Economics, and Organization, 12(2), 299–324. Downs, A. (1957). A theory economic of democracy. New York, Haper & Row. Droop, H. R. (1869). On the Political and Social Effets of Different Methods of Electing Representatives. Papers Read Before the Juridical Society, 3, 469–507. Duch, R. M., & Palmer, H. D. (2002). Strategic voting in post-communist democracy? British Journal of Political Science, 32(01), 63–91. Duverger, M. (1954). Political Parties Their Organization and Activity in the Modern State. Methuen & Company Limited. Fishburn, P. C., & Gehrlein, W. V. (1982). Majority efficiencies for simple voting procedures: Summary and interpretation. Theory and Decision, 14(2), 141–153. Groseclose, T. (2001). A model of candidate location when one candidate has a valence advantage. American Journal of Political Science, 862–886. Gschwend, T. (2004). Strategic Voting in Mixed Electoral Systems. Statistisches Bundesamt. Gschwend, T., & Stoiber, M. (2014). Strategic Voting in Proportional Systems: The Case of Finland. IHS Political Science Series, 218, 1–22. Herron, E. S., & Nishikawa, M. (2001). Contamination effects and the number of parties in mixed-superposition electoral systems. Electoral Studies, 20(1), 63–86.Irwin, G. A., & Van Holsteyn, J. J. M. (2012). Strategic electoral considerations under proportional representation. Electoral Studies, 31(1), 184–191. Karp, J. A., Vowles, J., Banducci, S. A., & Donovan, T. (2002). Strategic voting, party activity, and candidate effects: testing explanations for split voting in New Zealand’s new mixed system. Electoral Studies, 21(1), 1–22. Kawai, K., & Watanabe, Y. (2013). Inferring strategic voting. The American Economic Review, 103(2), 624–662. Kedar, O. (2005). When moderate voters prefer extreme parties: Policy balancingin parliamentary elections. American Political Science Review, 99(02), 185–199. Leighley, J. E. (2012). The Oxford handbook of American elections and political behavior. Oxford University Press. Leys, C. (1959). Models, theories, and the theory of political parties. Political Studies, 7(2), 127–146. McCrone, D. J. (1977). Identifying Voting Strategies from Roll Call Votes: A Method and an Application. Legislative Studies Quarterly, 2(2), 177. McKelvey, R. D., & Ordeshook, P. C. (1972). A general theory of the calculus of voting. Mathematical Applications in Political Science, 6, 32–78. Myatt, D. P., & Fisher, S. D. (2002). Tactical coordination in plurality electoral systems. Oxford Review of Economic Policy, 18(4), 504–522. Ordeshook, P. C., & Palfrey, T. R. (1988). Agendas, Strategic Voting, and Signaling with Incomplete Information. American Journal of Political Science, 32(2), 441. Riker, W. H., & Ordeshook, P. C. (1973). An introduction to positive political theory. Prentice Hall. Sartori, G. (1968). Political development and political engineering. Public Policy, 17, 261–298.